Alpaca hides have a “bouffy” texture with its soft and silky elongated fibres. It will have you wondering if it is fleece or fur. Wear New Zealand is breaking new ground in converting these skins into Objects of Desire. 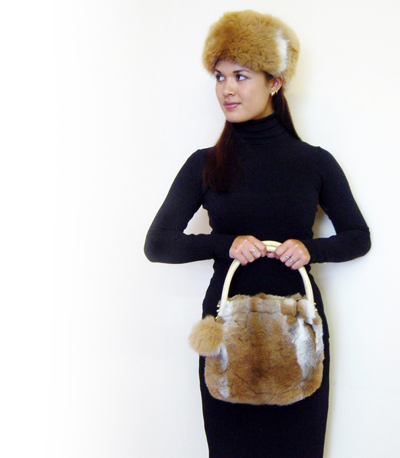 Wear New Zealand sources Alpaca hides as “casualties of nature" from South America. That means these new borns or young experienced natural mortality. Otherwise, Alpaca live for many years, and their value increases as they mature. In New Zealand, Alpaca farming is only a fledgling industry and there is no hide or leather industry from these long necked beauties. Rather, they are shorn for their wonderfully long fibre which is normally spun into wool. The texture is similar to longhaired sheep fleece but a lot silkier. Wear New Zealand has developed a mini Fashion Range of wraps and hats from the Sth American hides with the look being totally "out there"! All manufacturing is carried out by our Company in New Zealand of course. The natural colours of our Alpaca range from light fawn to honey beige. Click to view the entire Paparazzi (Alpaca) Collection here, or click the images below to view some of our products.